We are floor sanding and polishing specialists. Call 0414 405 825 for a free, no-obligation quote. 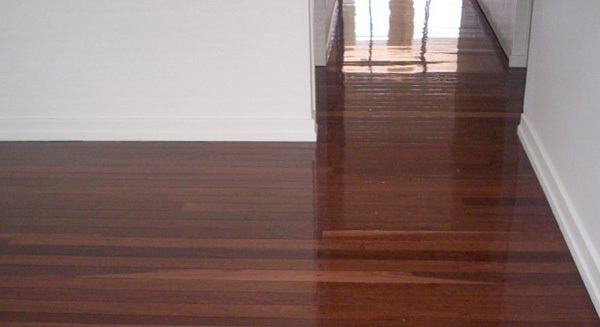 We have been floor sanding Brisbane homes and businesses for over 10 years, and understand the value that quality floor sanding and polishing can add to your living or work spaces. A quality job done reviving your home’s flooring or outdoor deck can increase the value of your home, and day to day, can make using your indoor and outdoor spaces so much more inviting to family and guests. At JML Flooring, we continually strive to provide our Brisbane customers with remarkable floor sanding solutions and outstanding service. We always strive to keep our clients happy and thrive on the job satisfaction of doing a job well. Actually, it’s a bit of an obsession, keeping our clients satisfied. Our team members also know that ‘you don’t get any future referrals if you do a s**t job’. Take a look at our gallery of past floor sanding and polishing jobs and you will immediately understand why so many of our happy clients refer us to their family and friends. We offer our expertise to all residents across Brisbane. Indoor floor sanding, coating and polishing options are available for all domestic, commercial and industrial applications, catering to both old and new flooring, staircases, maintenance and specialised services. If you’re looking to revive old and worn flooring or protect your new floors against wear and tear, our highly trained and experienced team can provide the best high-quality results for you. Outdoor deck sanding is also our major specialty. Given our clients’ love of spending time outdoors, it is gratifying for us to perform transformations on their decks to make them enjoyable and usable again. It all starts with an expert sanding that ensures sealants and other coatings adhere well, and the deck is revived for many, many years to come. Imagine a Brisbane floor polishing company that could deliver professional, hassle-free and quality results in a timely manner all within your budget. That is what makes us unique, and is something we have incorporated into our core approach at JML Flooring, all with the intention and result of leaving you with a smile on your face and great floors below your feet. Our processes ensure that your floors are prepped, treated and left to cure in a way that is conducive to achieving the most optimal results possible. By using only professional grade products and tools, we can guarantee the quality and durability of our finishes so that you can get on with enjoying your new floors. Wherever you are located, if you are looking for a trusted team who are experienced in floor sanding Brisbane homes, we’ve got you covered. Call us today on 0414 405 825 for a free, no-obligation quote. We service Brisbane and all major surrounding areas.